Avec 25 ans d’expertise et d’innovation continue en aménagement paysager, Paysagistes Chantal Lambert réalisent la conception, l’aménagement et l’entretien de votre environnement paysager. Paysagiste certifié APPQ, nous avons été lauréat en 2009, 2010 et 2014. Notre équipe professionnelle est composée de paysagistes, d’horticulteurs et d’une urbaniste, afin de créer l’aménagement qui épousera parfaitement votre demeure. Nos clients viennent de partout en Estrie. Nous effectuons tout ce qui est possible de faire en terme d'aménagement paysager, laissez-nous vous transmettre notre vision qui contribuera à votre mieux-vivre! Au plaisir de vous rencontrer! J'accompagne mes clients dans la conception de paysages écologiques, thérapeutiques et indigènes qui connectent les gens à la nature. What makes us stand out from the rest is that we are not your typical landscaper. Although mowing, mulching, building walls, and hardscape construction is very important, our passion and focus is the plants. Living in our northern climate limits us to which plants live and thrive in our region, which is why good design and plant knowledge is essential. Our philosophy is planting "the right plant for the right place" along with the expertise of zone 4 gardening, make us true northern garden experts. We pride ourselves on our 22 years of experience and education, along with being certified horticulturists, master gardeners and certified landscape professionals. Also, we offer horticultural consulting services for businesses, large estates and residential homes. Founded in 1995 by Samuel Roy B.A.P., landscape architect, Les Paysages VerduRoy provide a complete and comprehensive landscaping service. In choosing us you are sure that the plans will be respected to the last detail. As entrepreneur landscape painter, we take in hand all the aspects which concern the outside arrangement(development): - Conception(design) and realization of a landscaping from A to Z - Setting-up(presence) of a dug(accentuated) swimming pool, a system of irrigation or lighting - Construction of detached houses(flags) and complete outside cookings(kitchens) - Arrangement(measure) of the furniture of outside, decorations and accessories Our experts are capable of the good(property) to advise(recommend) to you. Whether it is for the choice the best products or for the arrangement(measure) which will suit best to your tastes and your lifestyle. Thanks to our association with design Shop Ladouceur, you can choose and buy your furniture, accessories and decoration directly at our home(directly with us). Passionnée par la nature et le design, nos baccalauréats en architecture de paysage nous ont fait découvrir une passion pour la création de paysages uniques et personnalisés. Depuis 2000, Création NATUREden, auparavant Mel Design, conçoit des jardins privés et publics qui répondent aux besoins et goûts particuliers de notre clientèle. Nous offrons ce service personnalisé dans la belle région des Cantons de l’Est ainsi que dans la grande région métropolitaine. Donc, que ce soit pour vos projets publics ou privés, jardins de ville ou jardins de campagne, Création NATUREden offre un service unique de conception de paysage qui permettra à vos rêves de devenir réalités. Deux architectes paysagistes, Marie-Eve Lussier et Danielle St-Jean, et une muse dessinatrice, Carmen Bourdon, composent l’équipe de Création NATUREden. Notre belle équipe unit ses forces à celle du lieu pour créer des paysages main dans la main avec la nature. Patrick Bergeron, owner of dry stones Townships is dry stone waller artisan. Through academic studies it is also landscape architect certified member of the Association of Landscape Architects of Quebec ( AAPQ ) in addition to being a member of the Association of Landscape Architects ( CSLA ). For over 12 years, Mr. Bergeron is distinguished by its many works of dry stones. we design, and hire the best contractor to accomplish the job perfectly. The work of this outdoor professional includes most everything surrounding a home's exterior. A landscaping architect can even work with the home architect to choose the right spot for your Weedon, QC house. From there the Weedon landscaper will develop preliminary concepts for your front or backyard design based on individual needs including the climate and activities that will take place, as well as layouts and planting plans. Landscape architects will also design any structures or outbuildings that will be added to the space. Any grading changes that will be added to the yard are also the responsibility of the architect. This includes any drainage modifications. An engineer can also be responsible for these tasks, but licensed Quebec landscapers are fully capable. Like building architects, they will produce preliminary concept drawings as well as detailed construction documents and planting plans. Three-dimensional renderings and illustrative plans are all supplementary. A Weedon landscaping designer generally will have ecological, aesthetic and technical training, which helps them maximize the potential of your outdoor space. Keeping in mind both style and functionality, garden designers analyze your architecture and yard to produce a plan that may or may not include location and materials for walkways, patios, water features, fences, garden aspects and more. 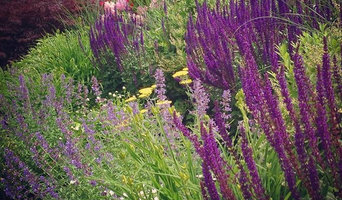 In addition, a landscaper in Weedon, QC will carefully assess your geographic region to choose plants, trees and flowers that will flourish naturally, as well as address concerns such as drainage, screening and soil conditions. Certain landscape designers only help with the planning portion, while some may deliver the plans and then oversee a hired landscaping contractor. Others — typically following a design-build approach — take care of both the design and all aspects of the landscape architecture and construction. Before you hire a Quebec professional landscaper, consider the scope and emphasis of your outdoor project. Landscape architects, who typically hold advanced degrees in their field, are trained to develop comprehensive structural plans that include plants, hardscaping, water use, drainage and more. Landscape designers typically specialize in the aesthetic and horticultural, rather than structural, side of yard and garden planning. They might or might not have advanced training. Even within their fields, a garden designer may specialize in hardscape- or vegetation-focused designs. In some cases you might need to hire additional help to get the outdoor space you want. Here are some related professionals and vendors to complement the work of landscape designers: . 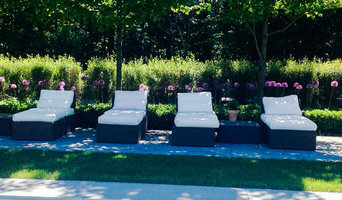 Find a Weedon landscape architect on Houzz. 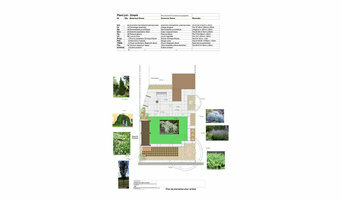 Narrow your search in the Professionals section of the website to Weedon, QC landscape architects and designers. You can also look through Weedon, QC photos to find a space you like, then contact the professional who posted the photo.